The Classic Two-Seater Bench has a very timeless, yet comfortable design which coordinates with your favorite patio furniture. 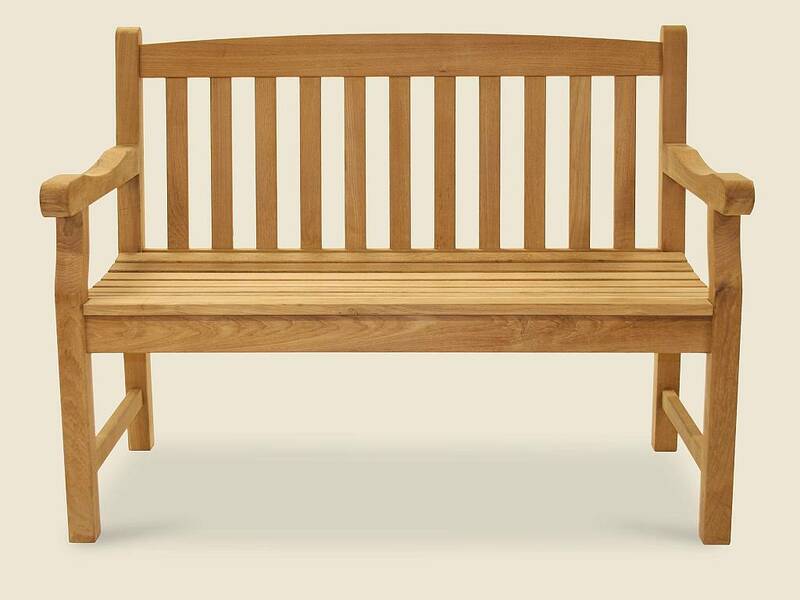 Enjoying a talk with a friend or an outdoor family event is easy with this simple and versatile bench. 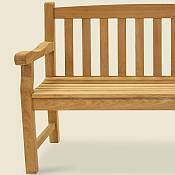 Because of its heavy duty construction, this bench is very strong and well-suited for home or commercial use. Use alone or pair with a great table from the Royal Teak Collection and you will not be disappointed. To make your furniture even more comfortable, consider buying attractive Royal Teak Collection cushions. The cushions are made of a high quality "teflon" coated fabric which makes it both rain and dirt resistant. In addition, the cushions have zippers for easy machine wash. Available cushion colors are Navy, Hunter Green, and Off-White. The two-seater cushion for this bench measures 45"L x 20"W x 3"H.